For the second successive year Daugavpils Mark Rothko Art Centre organizes the International Textile Art Symposium. 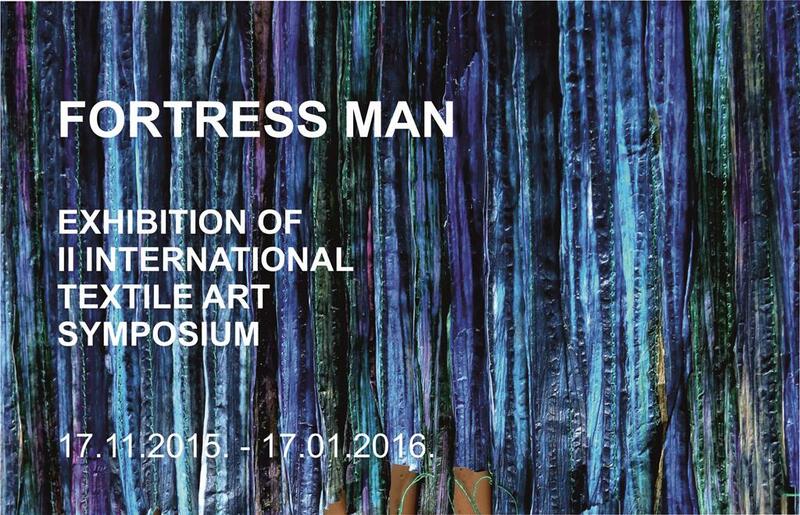 This time the theme of the symposium is “Fortress Man” – the theme which is both promising and offering various possibilities for developing it in creative works. Traditionally textile art is associated with the involvement of women, therefore by provocatively suggesting this theme for the symposium the curators wished to address the male representatives of textile art too. Some of them had already accepted the invitation, but unfortunately not all managed to overcome the severe selection competition. As defined in the theme, the textile art symposium was held in Daugavpils Fortress. Along with their creative activities artists were given the opportunity to explore the historical facts about the fortress, to roam through interesting streets, to see courtyards and meet people living in the fortress. For a long time these have basically been the men, but now everything has changed. The closing exhibition of the symposium shows whether in their works the artists participating in the symposium of this year have managed to alter the story about the fortress and fortress men. Nine artists from five countries are participants of the exhibition: Amanda Valdez, Andrea Myers and Julie Abijanac (USA), Ksenia Shinkovskaya (Daugavpils, Latvia), Antra Augustinoviča (Latvia), Moi Tran (Great Britain), Miloš Adolf (the Czech Republic), Kerstin Lindstrom (Sweden), and Farniyaz Zaker (Great Britain).